Do you ever wake up with a pounding headache or the feeling of dread you just cannot shift? Maybe it just creeps up on you in the day? Perhaps you know the reason? Maybe it’s just a general overwhelm that engulfes you and takes your head prisoner? Whatever the reason, the anxiety, the stress and the headache just won’t shift and you dream of being able to take one pill or tonic that will make it all go away. Sure you can reach for the aspirin for short lived relief. Or you can try to make this easy , very natural and highly nourishing healing drink that leaves you feeling and smelling great! 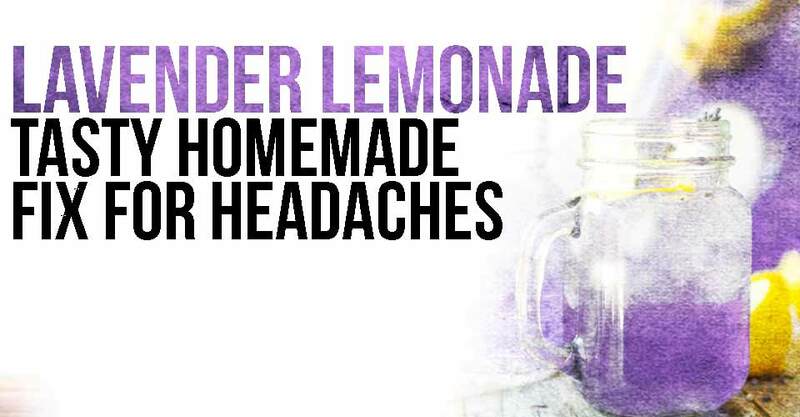 First, a little about its key ingredient – Lavender. Pure lavender oil is an incredible essential oil to use for your general health and wellness. It’s one of the gentlest of essential oils, but also one of the most powerful, making it a favorite of many households. Lavender oil has a chemically complex structure with over 150 active constituents, which explains its effectiveness at helping with a lot of health ailments. Florida researchers have found that lavender oil benefits include reducing anxiety and lowering pulse rates in nursing students taking stressful tests. In hospital settings, lavender aromatherapy has been demonstrated to decrease pre-surgery distress and to be more relaxing than massage or merely resting. In it’s pure form its so gentle that it can be easily used on children as young as newborn as well as pets and the elderly. Lavender essential oil has medicinal properties as well. It has been shown to reduce depression, improve insomnia and ease labor pains. And anecdotal evidence suggests that lavender oil benefits those with headaches, hangovers, sinus congestion and pain relief. It is important to note that there are lots of varying qualities of essential oils out there, and to be cautious when you buy them for topical and oral use. Those cheaper ones made for oil burners should never be used on the body. It is best to source and buy a slightly pricier pure therapeutic grade oil that can be used on the body or orally. Directions: Mix all ingredients together and chill. Add more water or raw honey if needed. Use sparkling spring water if preferred. Add 2 drops of Lavender to your favorite lightly scented, unrefined organic oil (like almond oil or olive oil) for a body oil with all the benefits of lavender for improving your skin, relaxing your mind, warding off insects or helping you sleep. Introduce Lavender into your life and you not only will feel great but smell amazing too! Are You a Competent Adult?